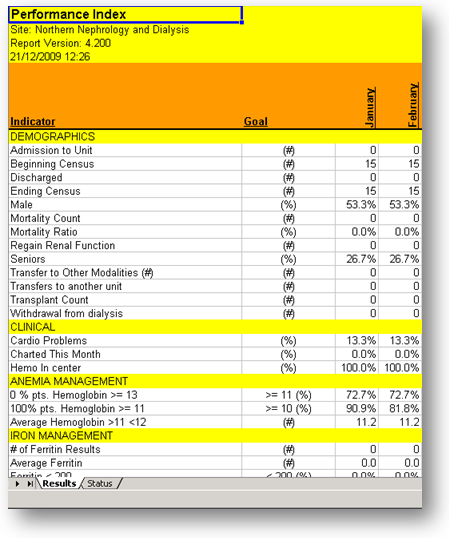 The ability to compile and analyze aggregate data is of crucial importance to administrators and planners of patient care, and is a significant advantage of a computerized medical record keeping system such as cyberREN. These functions replace intensive manual labor inherent in the use of paper based systems. Statistical evaluations of past health care strategies and outcomes over a segment of the entire patient population allow caregivers to determine problem areas as well determine the effectiveness of prescribed treatment. Other analyses may be used to determine cost factors, complexities of treating certain problem classes, determining correlations within the patient population, or simply extracting data for reporting purposes. In addressing this need, cyberREN is equipped with a comprehensive function which determines a number of “medical treatment” statistics characterizing the operation of the entire organization, or the operation on a treatment unit basis. A large number of treatment statistics are calculated monthly, and are available in the format shown on the left. Generating such reports can be accomplished at the click of a button, where the compilation of data requires man-weeks with a conventional system. cyberREN’s Spreadsheet Extension Function can be used to retrieve data, as well as to further process and format the data in a sophisticated manner. Standard spreadsheets obtaining data from the cyberREN medical record with predefined queries can be used for a variety of purposes and serve advanced reporting requirements for various medical disciplines. 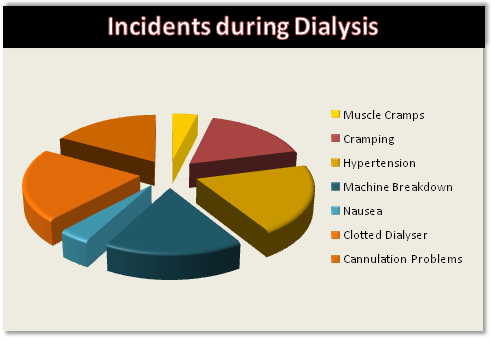 The example below is a spreadsheet based analysis of cyberREN treatment data collected directly from the dialysis machine (this specific function is supplied with the cyberREN system). quickly and accurately determine important CQI indicators for the entire patient population or a subset thereof. evaluate medical data in an off-line mode.